Some women consider making up their faces an essential part of looking good. To this category of women, their dressing is not complete without dabbing different colours on their faces in the name of makeup. Often, such women also find it hard stepping out of their homes without wearing makeup, which has more or less become an addiction or routine. However, for a long time now, researchers have warned that most ingredients used in the production of nearly all cosmetics contain toxic chemicals that are harmful to health. And not only do they cause serious skin-related health problems, but could also lead to the occurrence of such deadly illnesses as cancer and kidney failure. Shedding light on the negative effects of frequent use of makeup, Dr. Ayesha Akinkugbe, a Consultant Dermatologist and Genito-Urinary Physician at the College of Medicine, University of Lagos said cosmetics definitely come with a price. She said: “For instance, makeup causes, worsens acne and clogs the pores on the skin due to certain oils contained in many cosmetics, which cause a type of acne, known as acne cosmetic. This occurs, when oils from makeup collect in and clog the pores. Also, chemicals found in some foundations or powders may dry out your skin and make it look flaky, dull, and ashen. To avoid these negative reactions, she advised that a mosturiser could be applied about five minutes before the foundation or powder is used. A hydrating foundation or powder will also help.She recommended the use of makeup products that are fragrance and oil-free, as fragrances and oils are typically the most irritating to the skin. “Preservatives in makeup include parabens, which have been detected in cancer cells,” she explained. “Formaldehyde can also be found in cosmetics, and can irritate the eyes and skin.”On what makes makeup unfriendly, she said: “Several constituents of makeup are unfriendly and some are toxic. It is also important to understand that some cancer-associated chemicals are found in a host of cosmetics like paraben, which have been proven to disturb the function of hormones. They are also linked to the development of breast cancer. So, too much constant make-up is not good for the skin. It doesn’t allow the skin to breathe and can be difficult to take off, thereby causing more pressure to be applied on the skin in the process of removing it. She, therefore, urged women who can’t do without makeup to take a break to allow the skin heal.“If they do this, then they would need to use hypoallergenic products. It’s better to find natural cosmetics, which contain only organic and pure ingredients. While some organic makeup may cost a bit more, it’s worth it, because there are no associated carcinogenic risks with genuine, natural and organic products,” she said. Buttressing Akinkugbe’s stance, Dr. Austeen Akaehomen, Medical Director, City of David Hospital, Festac, Lagos, said the use of makeup comes with side effects on the skin, when used continuously.He said: “It is so unfortunate that most of the people who use heavy makeup are not even aware of the consequences that are tied to it, which include infertility. Some of the chemicals used in producing cosmetics even interfere with the hormones. So, cosmetics lovers should be aware that some of these makeups are harmful, though they can make you look good temporarily. But on the long run, they cause adverse effects on the skin gradually, and possibly lead to an early demise. 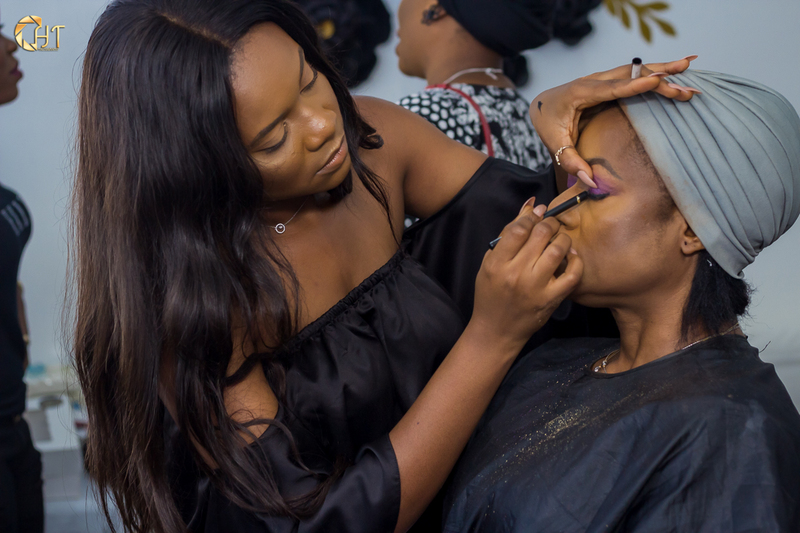 But in her view, Ololade Fanimokun, CEO, Facetalk Makeup and Salon, Ikeja, said makeup has little or no negative side effects. She, however, listed some guiding rules required to ensure that any adverse effect is minimised. She said: “Makeup should be washed off before going to sleep, to avoid clogging the skin pores. The expiry date of makeup products should also be checked before purchase. Most cosmetics have their expiry date, starting from first use. “A good cosmetic product will not cause any harm or irritation. It is only the cheap, unknown brands that tend to dispatch products without quality control. So, I advise women to be careful and go for known brands, when buying cosmetics. They should also buy from trusted stores.